The obstacles are always greater when you lack the funds to support your genius entrepreneurial idea. 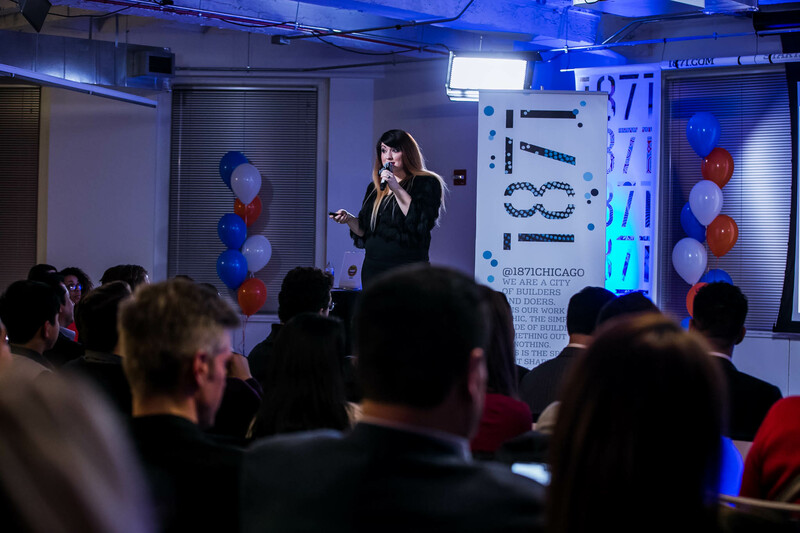 Victoria Elena Nones, Founder of Women in Comedy and 1871/IHCC Hispanic Technology Incubator alum, shares five key takeaways from her own entrepreneurial journey on how to maintain the right attitude when building a business on a shoestring. Victoria Elena Nones pitching Women in Comedy at the Hispanic Technology Showcase this year. Call it “bootstrapping” or “ramen eating” or whatever terms make us feel better about not having a financially privileged background to catapult our vision. I call it having genuine grit -- being able to persevere regardless of not having big financial resources for a business launch. 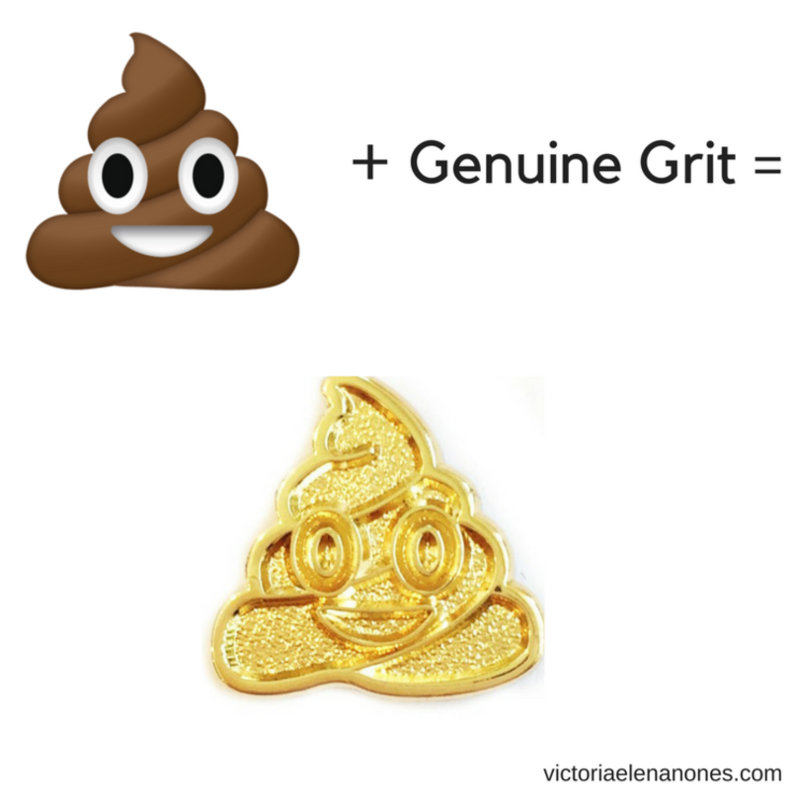 Genuine grit means having a vision, and being creative about resources to make it happen. And that’s exactly what I’ve done over the years and am doing right now with my non-profit, Women In Comedy. 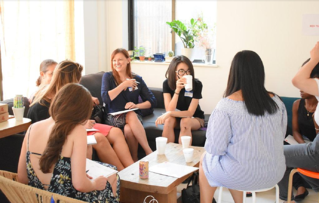 Women In Comedy’s mission statement is to empower, connect and advocate for women and girls who want to have a commercial voice in the comedy industry. You needn’t look further than the 2015 Vanity Fair cover featuring all male Late Night television hosts to recognize that the diversity and perspectives of women’s voices are largely lacking in the comedy sphere. That’s why we are building an online and real life community for women in the industry. 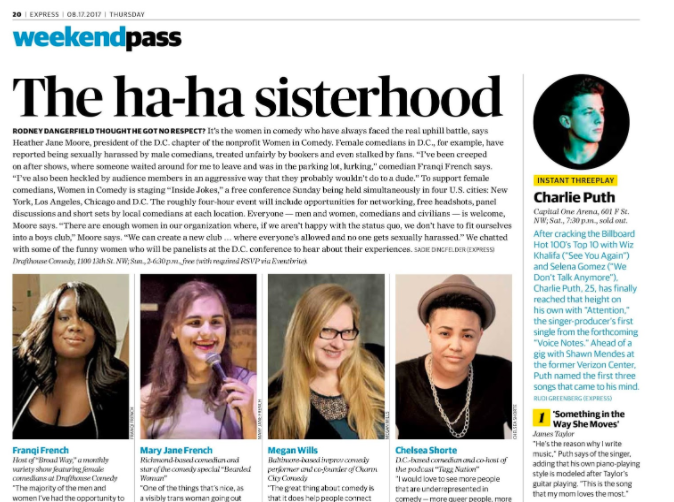 The lack of paid female voices in comedy is the problem, and Women In Comedy is the solution. Overall, the strategy for growth is about building community first. And that’s where we are starting. 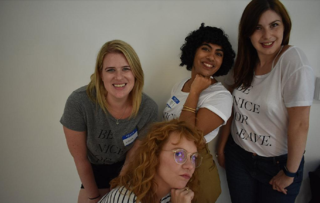 Starting with $0 and all volunteer efforts, on August 20th, 2017 we were able to successfully pull off four events (a mini comedy conference for funny women) on the same day and time in Chicago, NYC, Washington D.C., and Los Angeles. We had over 700 women RSVP, raised thousands of dollars in sponsorships, and were able to offer a safe space for women in the comedy community to come together -- for FREE! 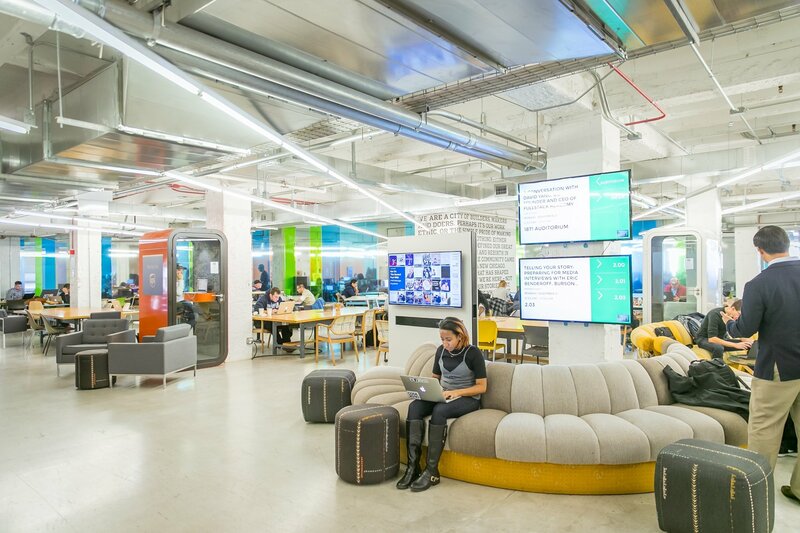 We were featured in The Washington Post, Chicago Tribune, LA Weekly, and Timeout New York. We did all of this with no press connections or money. Instead - it was all with vision and hard work by some amazing leaders of our chapter cities including myself in Chicago, Julianne Simitz (LA), Heather Jane Moore (DC), Alex Rijnoveanu (NYC) and Venessa Peruda (NYC). So, what does it take to have your non-profit (or for profit company) start from nothing and begin building it into something? Here are 5 key takeaways I can tell you about how we are building a national (and someday, international) online community that will eventually lead to revenue, sponsorships, and resources for women - and about spinning a great big pile of nothing -- a pile of poop -- into gold. For me, I’ve never let access to capital get in the way of building great things. I started my first business in 2012 with $1,000 and turned it into a six-figure business within two years. Women in Comedy currently has no operating budget -- and with the hard work of those who believe in our vision -- we’ve been able to raise funds and make things happen. Maneuvering and making sales despite resources is what I call genuine grit. I think too many people give up too early. In my experience it takes at least the first two years of nose to the grindstone to really start to see results. The greatest entrepreneurs can spin poop into gold. Believe in yourself, your vision and your ability to get creative when it comes to problem solving. It doesn’t matter if you’re building a for-profit or non-profit -- it’s about confidence and the ability to maneuver around any obstacles that stand in your way. 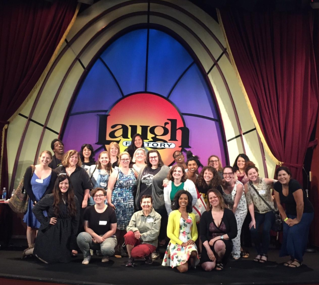 Everything we did for our recent Women In Comedy conference was with volunteer efforts. Even if you’re starting with co-founders on a for-profit business, the principles are the same. You’ll all be “volunteering” your time for the vision of your company. As entrepreneurs we tend to be hypercritical and focus on the problems needing to be solved, innovating and raising the bar over and over again. Sometimes we forget to celebrate ourselves and relish in our small successes, and those of our team. Say “thank you” daily. Recognize the hard work being done. We have weekly national calls every Saturday to connect and appreciate each other. For the first month of those calls, we carved out time sharing our strengths and celebrating one another. No one is going to buy into your vision or follow you as their leader unless you are appreciating and celebrating who they are, and what they contribute to that vision. There will be many steps on the ladder of success that are failures. We had several little failures along the way to our successful events. 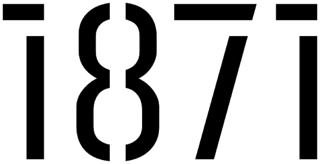 The day of these national events, a lot of things did not come together as planned. In my case, I had only one volunteer show up out of four in Chicago and I had to wing it. Because of this, the Chicago event was not as awesome as I’d hoped it could be. And that’s okay. It’s all a learning process. Enjoy the ride of failure so that you can get to your next success. Failure teaches us how to raise the bar for next time. Failure humbles us, and it’s a big part of success. Too many entrepreneurs get tunnel vision and continue to do the same thing over and over again when it’s not working (the definition of insanity). When we failed, in all cities, we picked ourselves back up and pivoted to the next thing. We were willing to listen to feedback, incorporate other ideas, and move forward. In fact, we are constantly welcoming feedback for our failures. Don’t be afraid to fail - fail hard and fast. At the end of the day - your “customer”, “audience” or in our case “community” are what matter. So, get your ego out of the way, give yourself a day or two to take it personally and rant to friends, and then be willing to accept the failures, let it go, and move forward with the feedback. Feedback is a gift and it’s what you choose to do with it that matters. I like to say that “relationships are my currency.” While my bank account doesn’t come with Rockefeller status, my heart and mind seek out new friends regularly. I love people, and when it comes to business, people matter. When you have no resources, the word “barter” comes to mind. With our event, every city’s chapter relied on certain relationships we’d personally built to help pool resources for our events. This is key when building a company with no funds, and virtually no resources. Who do you know that can help you, and what resources or talents do you have that can also benefit them? Surround yourself with successful people who you admire. Spend time with them doing things that are not business related. Forge real and meaningful relationships with others. Every individual has a wealth of knowledge and a network of people who may just be able to help you, and you can repay the favor with your time or talents instead of with cash if necessary. There’s a fine line between constructive feedback, kind and honest criticism, and just plain outright hater status. In the building of Women In Comedy we’ve handled quite a few haters. Regardless of the industry, misplaced anger, jealousy and a hater or two seem to consistently pop out of the woodwork to lash out, wreak havoc, and create divisiveness at every turn. There are a million people who will seek to sabotage your vision and often it's because they are projecting their own limitations or anger at the world on you/your company. There are people who will tell you that you will “never” or you “can’t” or try to find ways to shame you or criticize what you’re doing as you’re learning, failing, and growing. Get these toxic people out of your life, off your social channels and away from your vision. Do as Beyonce does and disregard the haters. That said - we are only human and it is hard not to take things personally when these people show up. In fact, I do take it personally and to heart all the time. My best advice when this happens is to vent to the people who love you. Give yourself time to mull it over, talk about how absurd the haters are 20 times, and then let it go and move on. After all, you don't have time for them - you've got a great company to build. Interested in learning more about Women in Comedy? Check them out on Twitter, Facebook and Instagram.